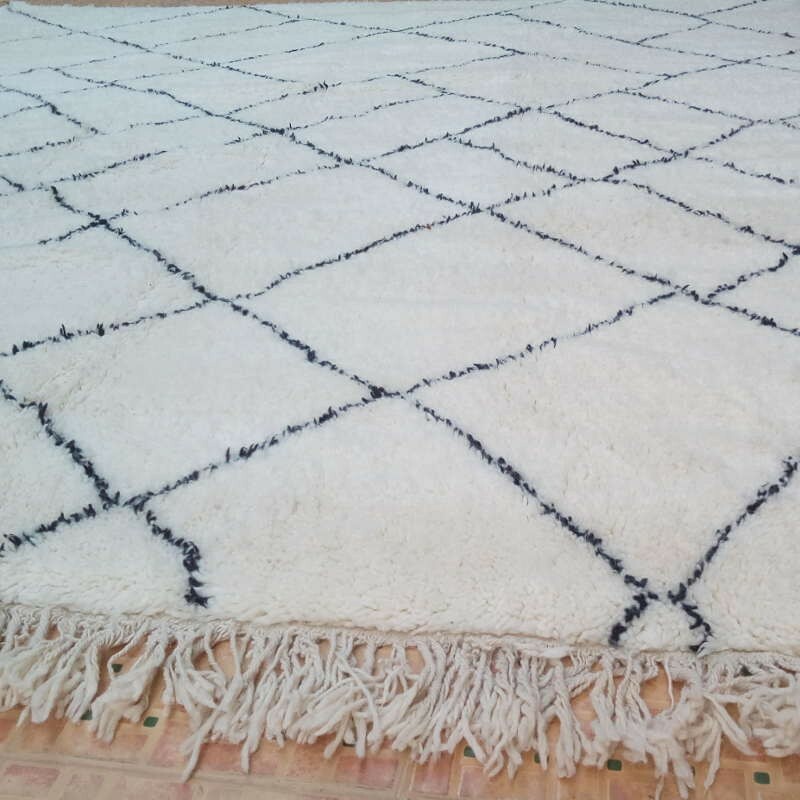 You would like a large Beni Ouarain rug for your office, your living room or your dining room, Looking for thick natural wool home made carpets. 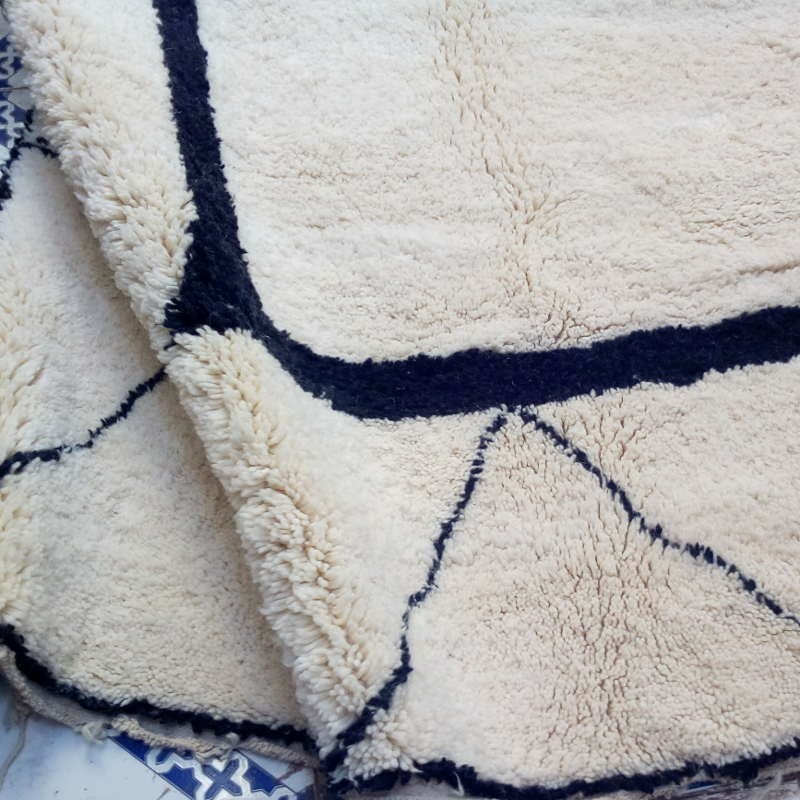 The rugs of Berber women, home made in the Moroccan Middle Atlas, are a great opportunity. 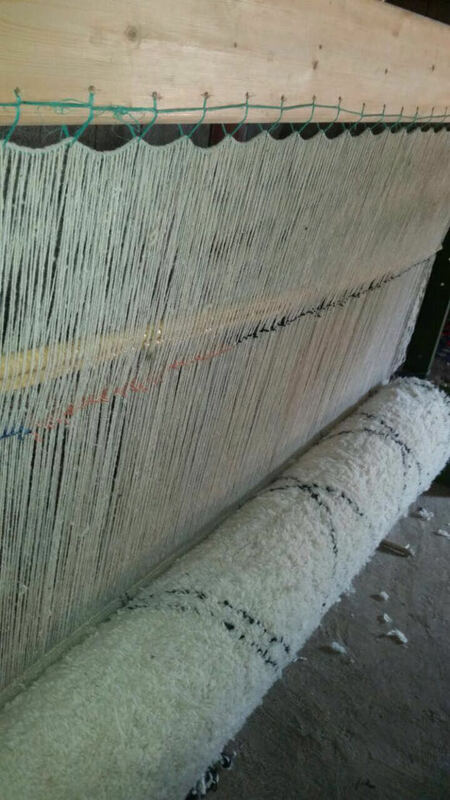 The carpet weaving tradition among the Berbers is transmitted for centuries from mother to daughter. These large carpets still adorn the Berber tents. 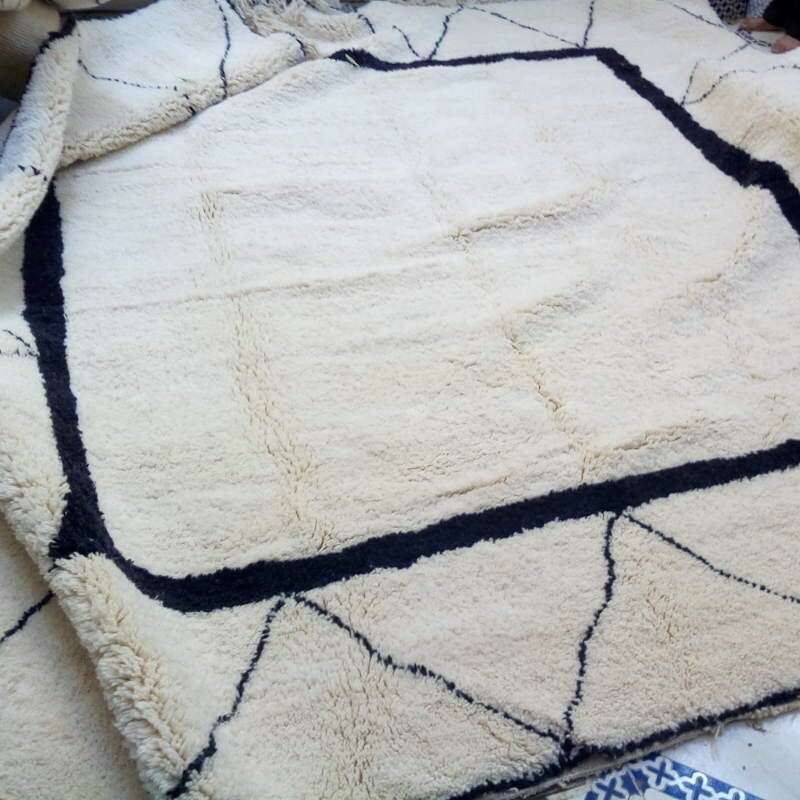 Hand made of lambs wool or sheep wool, with different colours such as ivory white, white, brown or black, with or without diamonds, the rug is made according your desires. You can choose the sizes and colours of the rug, and be inspired by rugs from our collection. 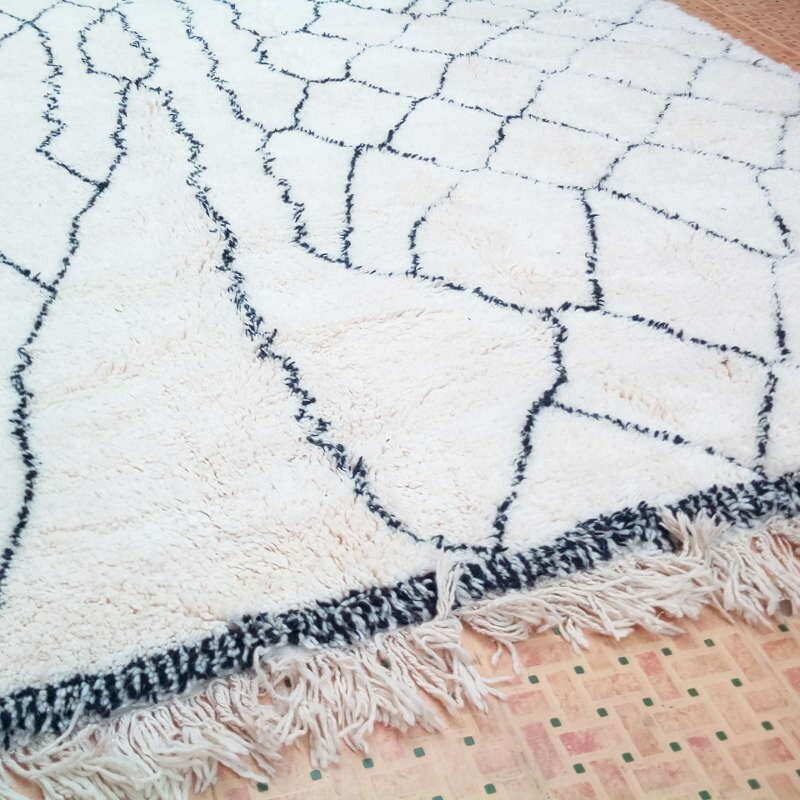 Enjoy an authentic Berber Beni Ouarain rug in your home ! 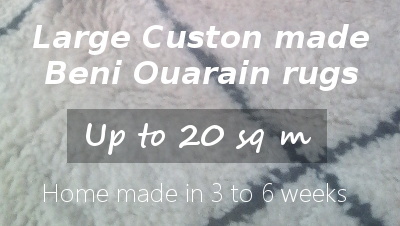 You need information about custom made Beni Ouarain rugs. 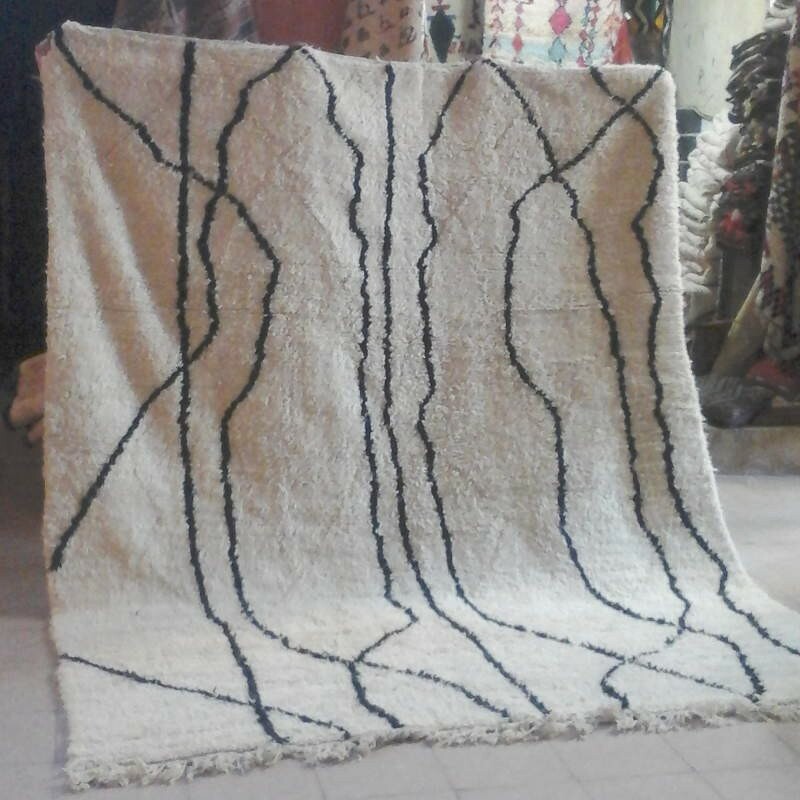 These custom made rugs are knotted by Berber women in the Middle Atlas mountains of Morocco. These women of the Beni Ouarain tribe are working in the family, where both three of them sometimes knotting a single large carpet. 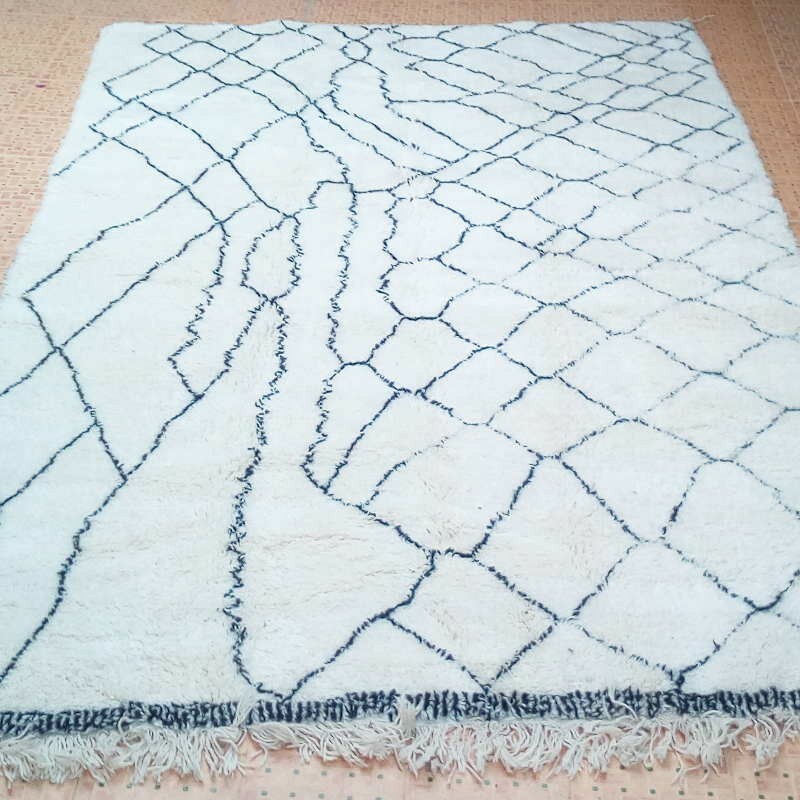 Inspired from a sold carpet, this large Beni Ouarain have been home made by Berber women in a village of the Middle Atlas mountains. 100% natural wool and natural colours. View the Beni Ouarain rug in his living room in New-York. 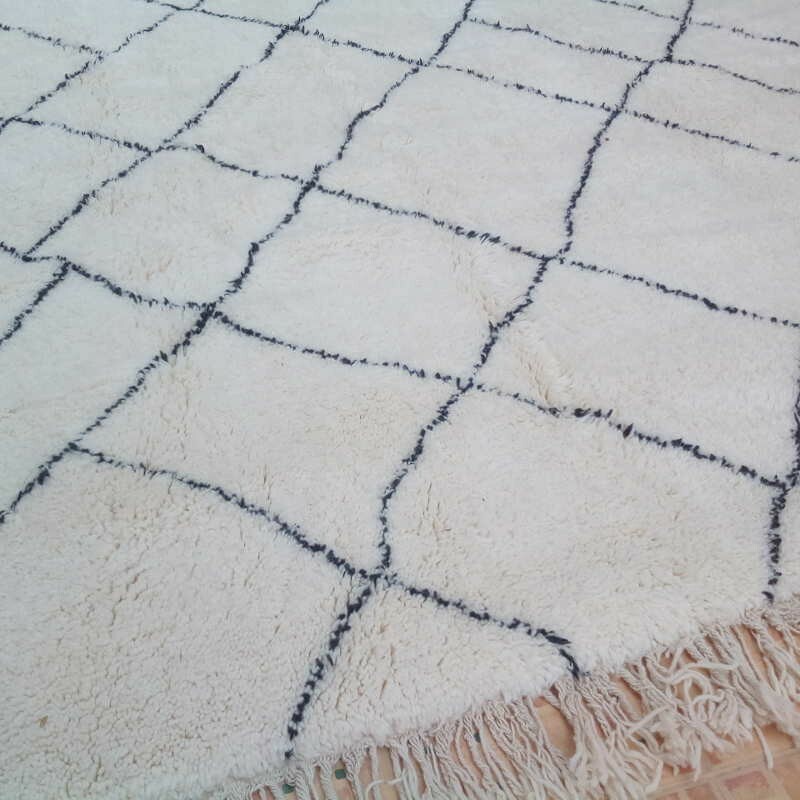 This rug is really prestigious because its sizes, more than 20 sq. m., quality and density of wool. 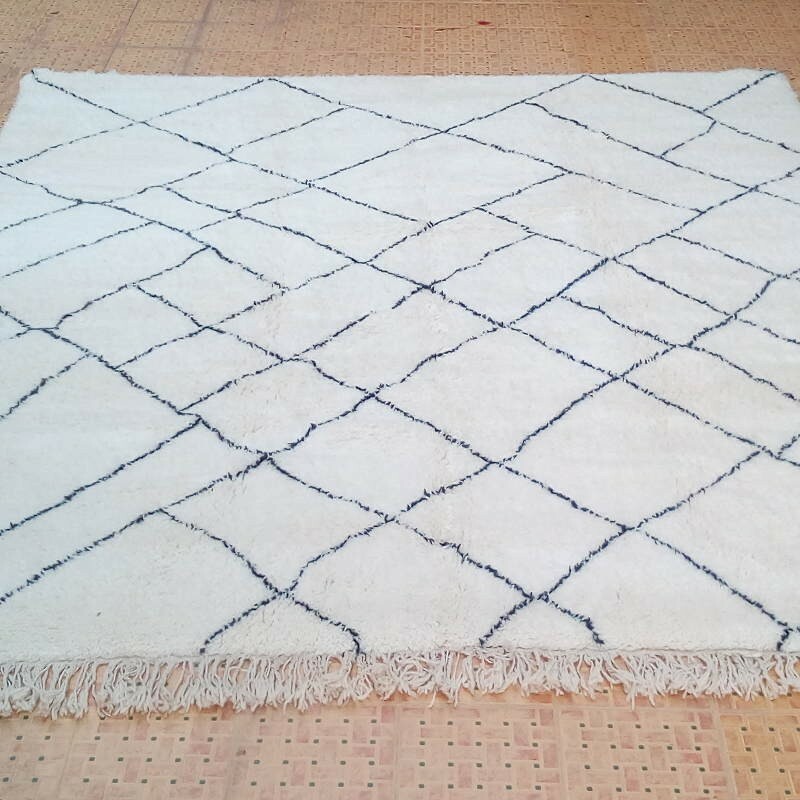 The decor of this rug get inspired by the vintage Beni Ouarain rugs. 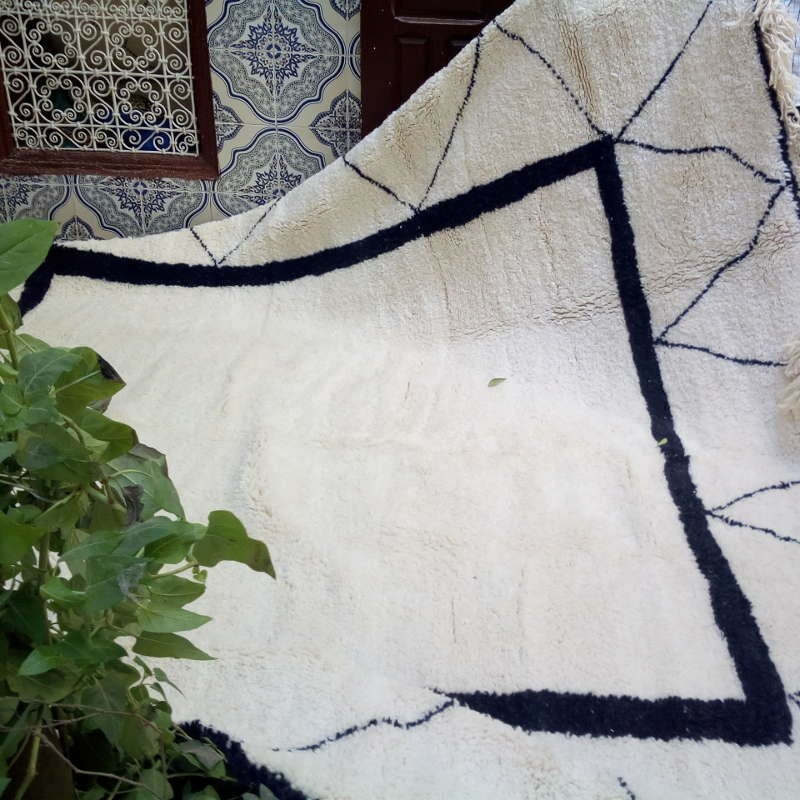 Nice custom Beni Ouarain rug presented with photos in Marrakesh, before shipping. 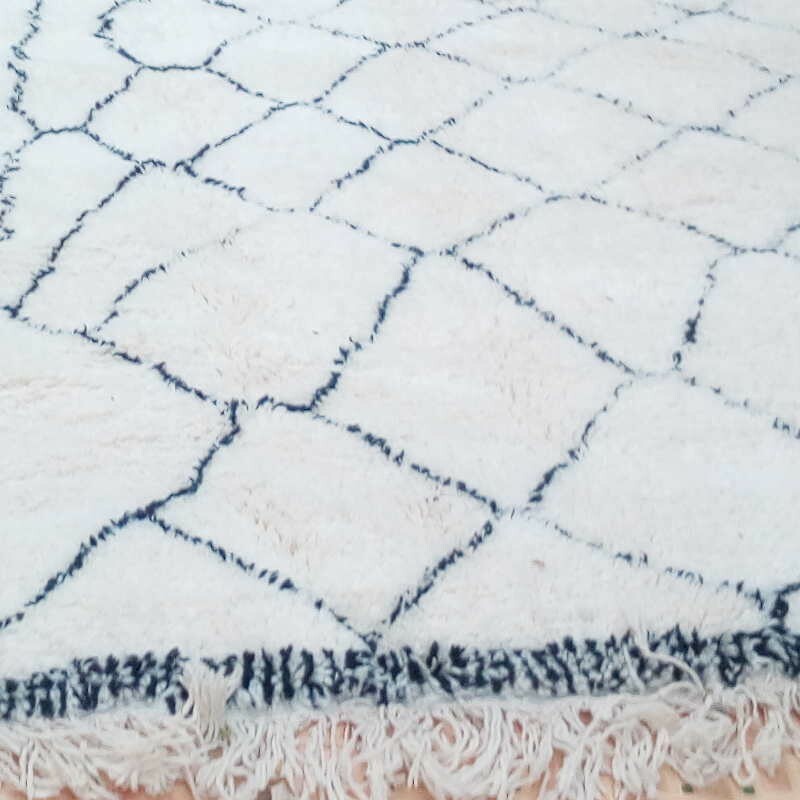 This is a home made large Beni Ouarain rug of 480 x 315 cm.